Poly felt is a firmer and stiffer compared to Acrylic felt. Thus, it is more suitable for die cut project that needs stability. A lot of cute craft such as busybook, flash card, alphabets precuts, small purse, brooch holder and many more fun project can be done with this felt. 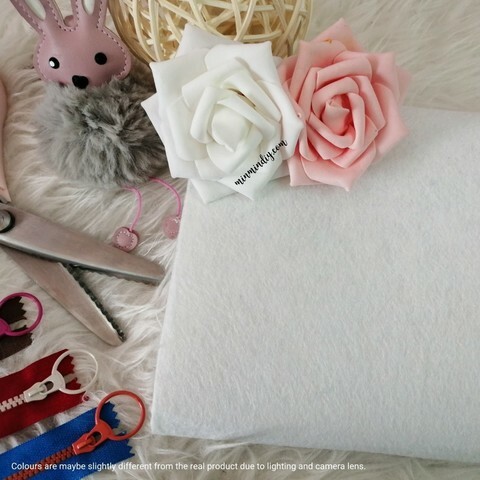 Acrylic felt is softer which is suitable for various kind of pillow and plushies.